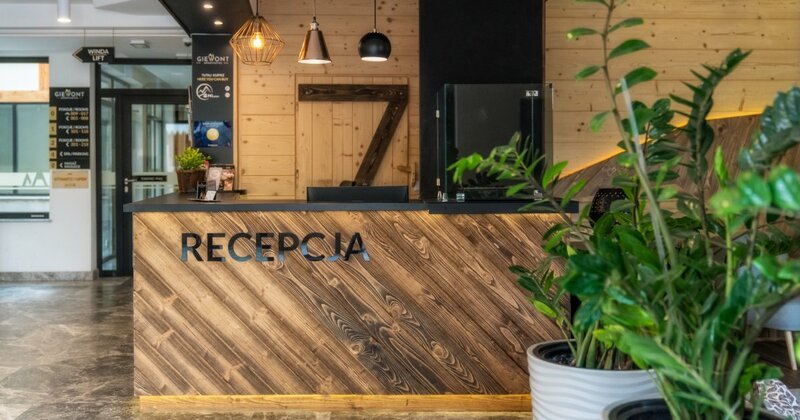 A double apartment in the center of Zakopane, 50m from Krupówki. The apartment consists of a living room with a kitchenette, a bathroom and a terrace. It has been decorated in bright colors with a note of the regional atmosphere. The spacious living room offers a fully equipped kitchenette for 2 guests. Table and chairs, cutlery, dishes, glasses, mugs, wine glasses, pots, refrigerator, dishwasher, cooking utensils, electric kettle, microwave oven, induction hob will allow you to prepare your own meals. The apartment offers a double bed, bedside tables, flat-screen TV, wardrobe and a chest of drawers. The bathroom includes a shower cabin with a shower head, toilet, washbasin, hair dryer, towel rack and wardrobe. The apartment is also equipped with a set of towels and toiletries, ironing board and iron - available at the reception. It offers access to the terrace and a set of garden furniture. The apartment offer does not include own food service, however, it is possible to order a catering breakfast served to bed at a specified time (orders accepted until 18:00 the day before). Possible change of hours upon prior contact with the reception. Great solution for a couple, friends or family.